The system can be operated for a very long time thanks to energy-efficient algorithms, performance-optimised sensors and the high capacity of the rechargeable battery. Given a five-minute measurement and recording cycle, the measurement can be continued for up to 250 days without the need to replace the battery. The battery can be replaced by the user very easily. 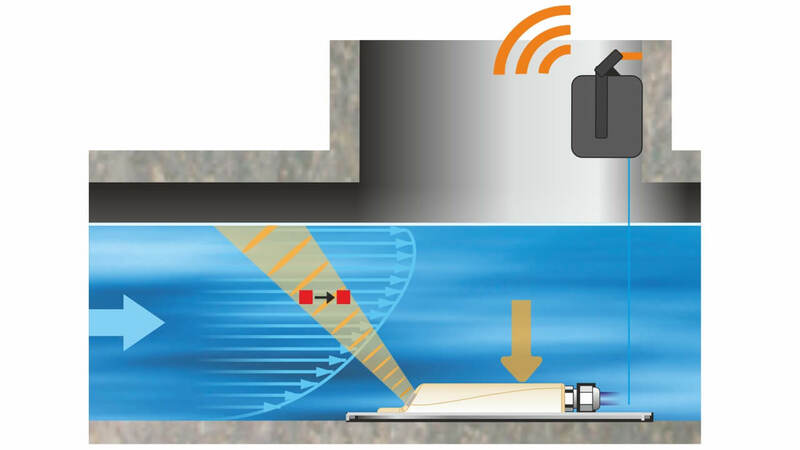 A LTE modem with automatic transmission of readings and unit data via e-mail, FTP or to the NIVUS web portal is optionally available for the transmitter. Therefore, maintenance visits can be reduced to a minimum or can be planned in advance to save resources. The high protection class of IP68 for sensors and transmitter permit to use the system even under extreme conditions. Protection class IP67 is guaranteed even with the cover open. 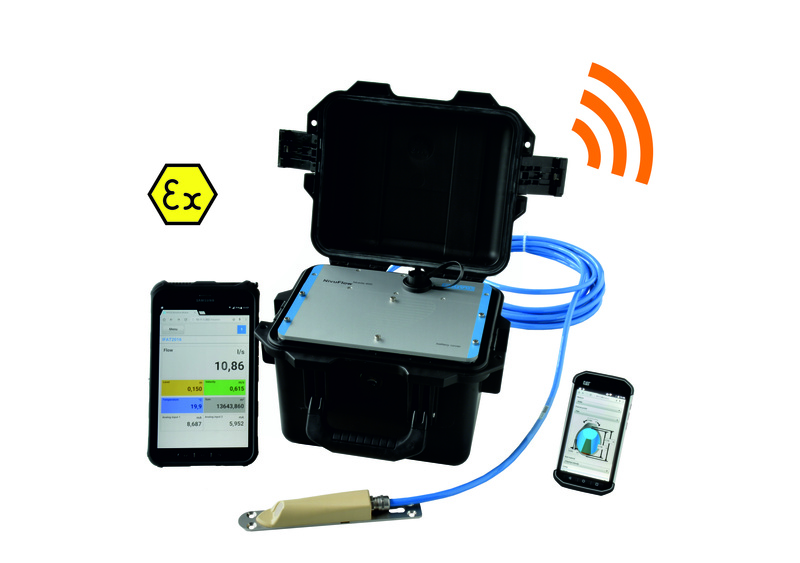 Parameters can be set and the transmitter can be operated wireless on site by using smartphone, tablet or notebook. This enables ergonomic and safe operation from within a protected area such as a vehicle even in poor weather conditions, direct sunlight or when accessibility is limited. 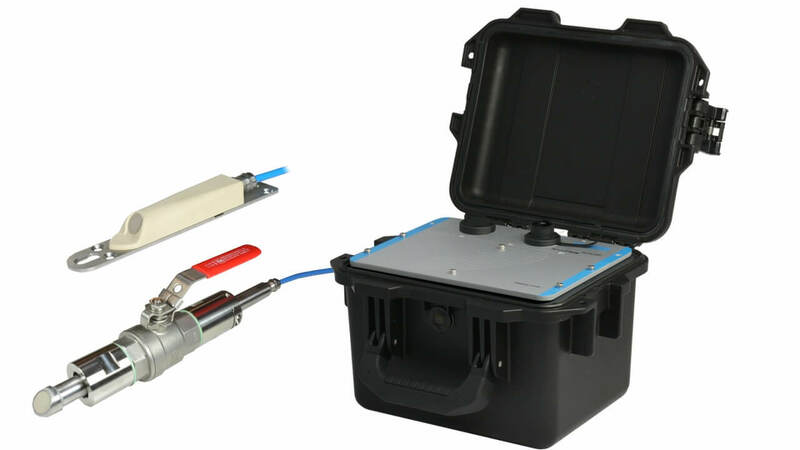 Typical applications for the NivuFlow Mobile 750 are the determination of infiltration water, the verification of throttle equipment, precipitation discharge measurement or temporary measurements in wastewater networks in general.